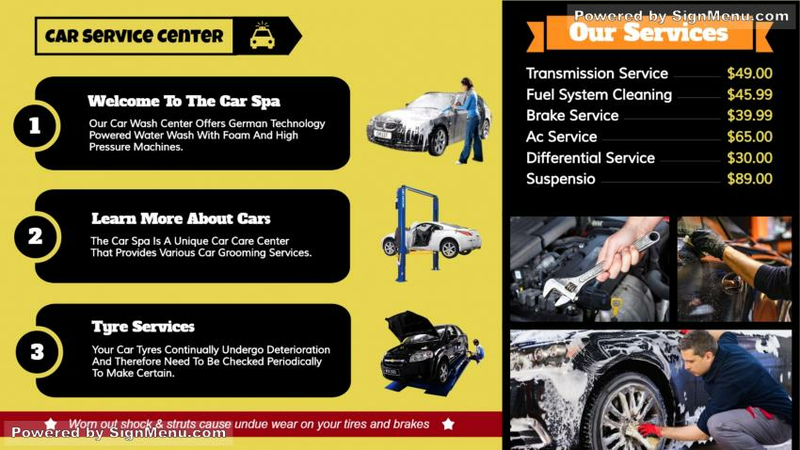 The car service signage template has a clear design with a balance of images and names of services offered by the garage. The fonts are crisp and clear and the numbering helps to understand everything clearly. The backdrop is perfect for the services to be laid down appropriately. This signage template can be downloaded without a charge and edited before use.